Coconut oil has the ability to condition and moisturize both skin and hair. Solid at room temperature, virgin coconut oil is made from fresh coconut meat and is not refined, making it best for use in beauty treatments. 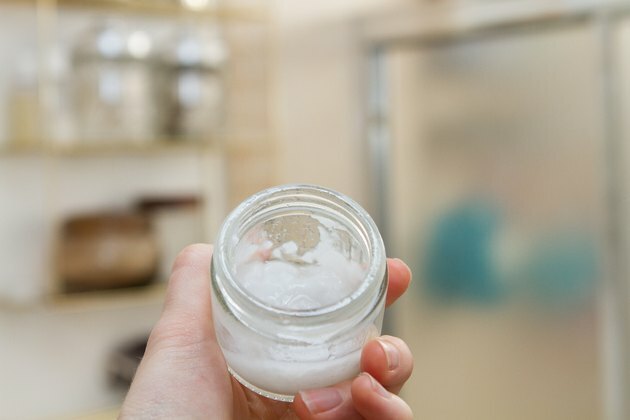 The versatility of coconut oil means it can be used in a host of homemade applications. Apply coconut oil to skin and hair to add a healthy glow to your beauty regimen. 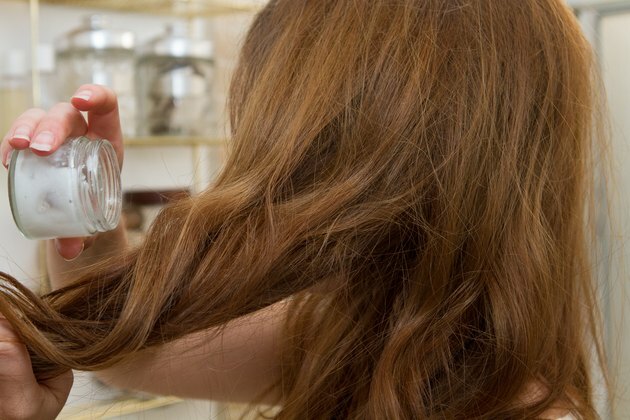 To give your hair lasting shine, try a hot coconut oil treatment. Melt enough coconut oil to cover the length of your tresses. Allow to cool enough to pour over dry, unwashed hair. Pin hair up and place under a shower cap for 30 minutes to overnight. Wash out coconut oil treatment and continue with routine styling. Coconut oil is most easily applied directly to the skin. After showering, apply a thin layer of coconut oil wherever needed to keep skin moisturized and supple all day. Combine melted coconut oil with essential oils such as lavender, rose geranium or tea tree to boost skin-nourishing properties. For help lessening the appearance of dark under eye circles, take a pea-sized amount of solid coconut oil and dab onto the area lightly.